So I've been all in your faces for the last two weeks online with my Finding Claire Fletcher blog tour. You're probably all sick of seeing me and my book and wondering where the heck I've been in terms of commenting on your blogs. 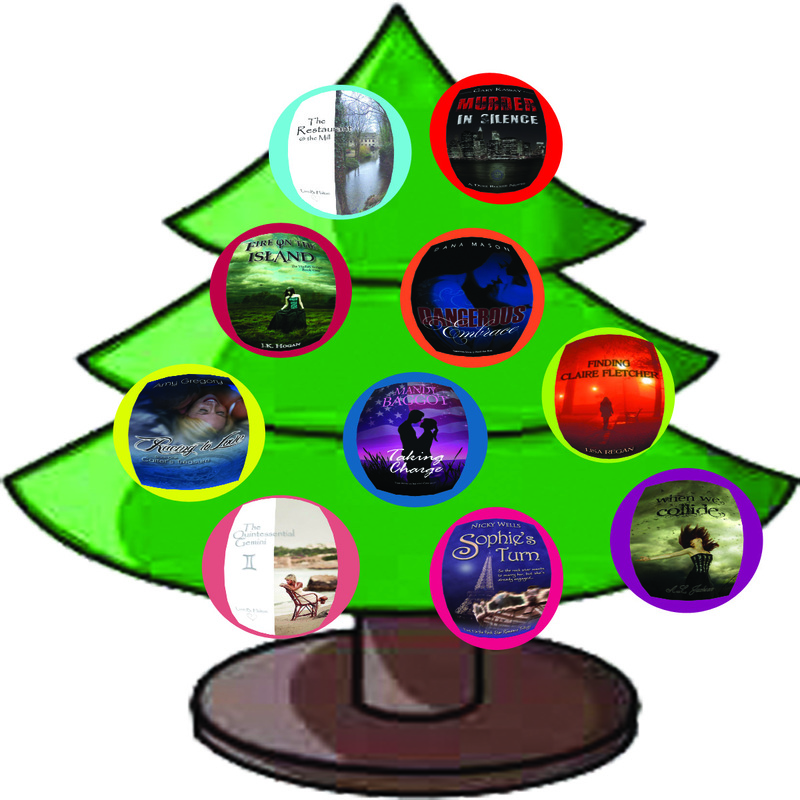 So first I want to say THANK YOU to all my blog tour hosts. You guys have been so supportive and encouraging and wonderful--I am so blessed and grateful for each one of you! Also THANK YOU to everyone who stopped by along the tour and took the time to comment! I really appreciate it. Second, yes, I've been remiss in my blogging duties the last two weeks. You'd think it's because I'm busy with FCF launch stuff but actually, a lot of other things are going on. Unfortunately, my home has been ravaged by illness the last few weeks--round and round it goes--including 2 cold/flus, one surgical procedure and one pretty scary health concern with my child. Not to mention me being forehead-deep in edits for my second book, preparing for the holidays and oh yeah, working full time to keep the roof over our sick heads! So I sincerely apologize and hope to catch up on all your blogs in the next week! If I didn't respond to an email or a comment or I haven't been by your blog recently, I promise I'm not being an a world class jerk. I'm just a bit overwhelmed by situations out of my control. Just please know I am so grateful for each and every one of you who stop by this blog, who hosted me and who stopped along the tour and I do promise to catch up! Third, I'd like to announce the blog tour winners! 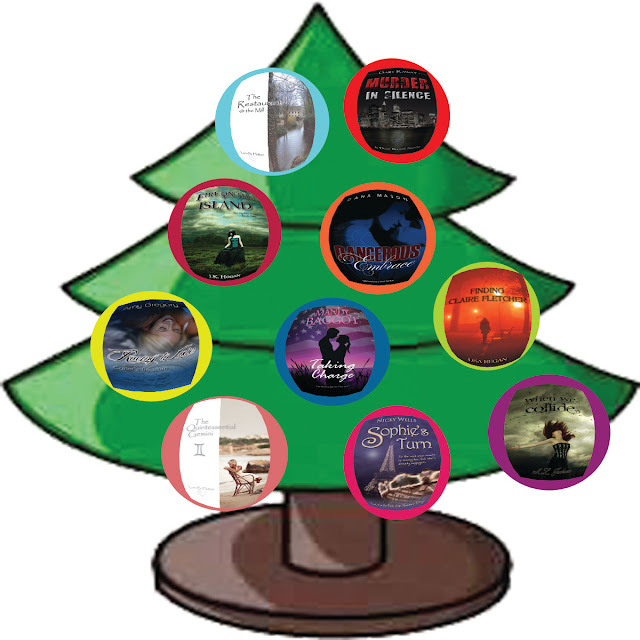 From Christmas to New Year's, we're celebrating YOU with $0.99 books and a chance to win an iPad 2! Giveaway Prize: One (1) Apple® - iPad® 2 with Wi-Fi – 16 GB – White. No purchase necessary. This contest is void where prohibited by law. Entrants must follow Rafflecopter instructions. One (1) winner will be picked via Rafflecopter and will be notified by email within three days of end of contest. If a winner is unreachable after seven (7) days, or if that winner is unavailable for prize fulfillment, an alternate winner will be selected. Odds of winning depend on the number of eligible entries received. Contest entrants agree to abide by the terms of these Official Rules and by the decisions of the contest commissioners, which are final on all matters pertaining to the contest. Entrants grant to Sapphire Star Publishing the right to use and publish their name online. All results posted are unofficial until winner responds to e-mail notification. Contest ends on January 2, 2013 at 12:00 a.m. PST. No worries, Lisa, family comes first. Sounds like it's been a rough few weeks around the household, hope you're all on the road to recovery and can enjoy Christmas. Sorry everyone has been sick. Need to feel better now though, darn it - it's Christmas! Hope the tour was a big success and congratulations to the winners. Sorry to hear about all the illness. I hope everyone is feeling better. Poor Lisa. When the stress rains it pours! Wishing you the best luck ever. Sorry to hear about all of the illness!! Will keep you and your family in my thoughts and prayers! Praying for all to get well! Merry Christmas to all!!! Oh, poor you! That's no fun. I hope you all get well soon. Yes! I want to hear about your post-pub experience. You know I'm praying for you guys, and I wish you all the best in the coming year. :) Merry Christmas! Let's hope Santa brings a dose of "Feel better" for your stockings. Merry, merry Christmas. Here's hoping life slows down long enough for you to enjoy your holiday. And cheers to a better New Year!! Lucky winners!! These tours can be a real haul, I know. You did great! And ah, yes, those early school years when germs are constantly brewing & you seem to spend more time sick than not. I don't miss 'em. The edits, as rough as they are, won't last much longer. There's a light down there somewhere. It's been crazy for both of us. I can't wait to get back to normal again. Love you! I'd never get tired of you!! Reading "Finding Claire" and loving it!!! I've got it, "Strength", and "Tough Girl" all downloaded and open. Every chance I get, I read a chapter of each book. My family thinks I'm being anti-social, but I'm loving each one!! Congrats on the conclusion of your book tour! Have a happy, peaceful and prosperous new year! It's difficult to find knowledgeable people on this subject, however, you seem like you know what you're talking about!